Shoulder joint is not a very stable joint inherently. Therefore, it has a more loose structure when compared to the hip and knee joints. This natural structure which tend to easily dislocate is bound and protected by the surrounding muscles and ligaments. As in all joints, the stronger the surrounding muscles of the joint are the better it is protected. The most important developments related to the shoulder joint had taken place in 1970’s. Professor Dr. Charles Neer shed light on shoulder pathologies through his extensive studies. He provided the first definitions of issues like Impingement Syndrome (shoulder impingement syndrome), rotator cuff muscle tears, shoulder prosthesis designs and developed the modern treatments of these disorders. Impingement syndrome may eventually result in muscle tears. Biceps tendon tears can also be accompanied by muscle tears. It has been understood since then that muscle tears in the shoulder develop through the aging process. As one gets older, sometimes a small tear may develop and it can get worse through time or by way of another trauma. Sports related traumas, falls, and shoulder dislocations at younger ages may result in muscle tears. These types of tears are caused by degenerative aging. Tears are defined by terms such as partial and full muscle tears and are diagnosed by an ultrasonography or a magnetic resonance (MRI). Muscle tears cause the patients to experience pain, especially at night, and not to be able to lie down on the shoulder. A painful arch of movement is present. Shoulder movement may be completely lost in cases if the muscle is fully torn. However, through the synergic movement of the four muscle groups, in some cases the movement may also be protected. The current treatment of rotator cuff muscle tears is based upon attaching the torn tendon to its footprint with anchors. For this treatment to be successful, the patient must wear a supported arm sling after the surgery. The patient is requested not to do any movements that can strain the repaired muscle except some basic shoulder exercises for the reason that in this kind of tears the tendon is stitched on to a hard surface, namely the bone. In order for the tendon to stay in place and not get torn, it should not be strained at all. Smoking is one of the primary factors that can affect the recovery negatively. Having an acute or chronic tear, the size of the tear, the age and other comorbidities of the patient are taken into account while determining the course of treatment. It is common that when the tear is not treated on time, it might slip back and the muscle may turn into fatty tissue (fatty degeneration). Once the diagnosis is made, waiting is not recommended for the full muscle tears. The protection and rehabilitation of the muscle lasts for about two to three months after the surgery. Returning to sports activities is possible after six months. The shoulder is one of the most unstable joints in the body, which means that it is one of the easiest to dislocate. One of the main reasons for this is that it does not have any bony articular surfaces that are tightly connected with each other. The stability of the joint is provided by the surrounding muscles (rotator cuff /deltoid /biceps) and ligaments. In daily life, we rarely rotate our shoulder wider than a 90-degrees angle and this protects it from straining physical trauma. However, when we fall, get a direct blow, or sometimes during sports activities when we extend our arm forward, our shoulder joint can get dislocated. Shoulder dislocations are important for young patients because recurrent dislocations are highly possible. It may not require surgery instantly; however, examining the patient and his/her magnetic resonance scans before making the decision is very important. In some patients, in addition to capsule and labrum tears, bony bankart lesions may occur. Shoulder dislocations might sometimes require surgery even the very first time it happens. While for some people the shoulder can get dislocated from rather simple movements like throwing a stone or swimming, for others it may require high impact traumas like falling, adverse movements, or direct blows to the area. It is possible to explain the main difference between these two groups of patients as the general laxity of the joint structure (the flexibility of the joints). The joint is a more flexible structure for some people, thus, it can dislocate easily. This situation is called multi-directional instability (MDI). If we think of the joint’s capsule as if it were a balloon, the head can rotate in it in every direction easily. In fact, these patients naturally start avoiding the movements which make them feel as if the joint were dislocated after a while. Compared to the patients who have firm joints, they tend to have recurrent dislocations. Following anterior dislocations of the shoulder, the fibrocartilaginous corners of the joint, called capsules and labrums, are repaired. The tissues are attached to the bone with anchors and the stitches tied to them. This procedure enables the joint to regain its firmness. If there are accompanying biceps long head injuries or hill sachs lesions, they are also fixed concurrently. In arthroscopic instability surgery, evaluating the deterioration within the joint and repairing the aforementioned structures properly are the important steps preventing the recurrent dislocation. Capsular plication, a procedure in which the loose joint capsule is stretched, may be necessary for some patients, especially for the ones who constitutionally have flexible joints structures. The operated shoulder needs to be well rehabilitated and protected from contact for a while, and then the muscles should be strengthened. Physical therapy requires patient follow-ups for at least three months. 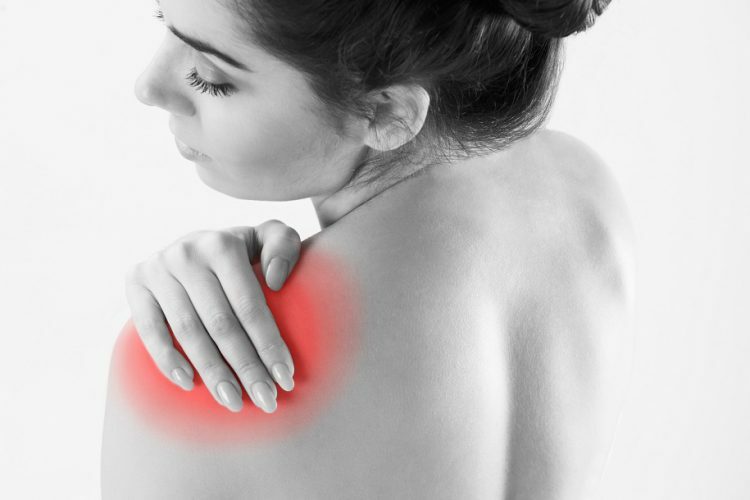 It is one of the most painful forms of shoulder diseases. It is generally characterized by suddenly emerging pain between the ages of thirty and sixty. The reason is generally unknown. Calcium deposits form inside the rotator cuff muscle. It is a disease that may eventually disappear spontaneously. Bosworth reported that calcific buildups show %6.4 resolution decline a year. An ultrasonography and x-rays are generally enough for its diagnosis. In larger buildups, the integrity of the muscle, the occurrence and placement of the tear can be assessed through MR imaging. Treatment depends on the stage of the disease. Surgery is avoided when pain is intense and when there is inflammation. It is generally treated with analgesic medications, arm sling, and physical therapy. Movement should not be limited for an extended period of time. Surgical treatment is planned during the chronic stage. The calcium deposits are removed by way of arthroscopic surgery. Muscle repair is not performed unless it is necessary. However, if there is a large tear, indications for repair can be assessed. Cleaning up the subacromial space and acromioplasty surgery can be added as well during the same session. An ultrasound guided barbotage is the procedure that drains the buildup with an injector needle. Other treatments can be classified as subacromial corticosteroid injections and extracorporeal shock wave therapy (ESWT). In the calcific tendinitis, the black area in the muscle's attachment point to the head is the reflection of the calcium accumulation seen in an MR.
Impingement syndrome, which is seen frequently in the shoulder, may lead to muscle tears and resulting joint deterioration in time. It is a syndrome that develops between the ages of 60 to 70. Shoulder prostheses are used when joint deterioration, called rotator cuff arthropathy, is observed. In this circumstance, most of the muscles are deteriorated due to large chronic tears and the articular cartilage is not in good condition. As a solution, reverse shoulder prosthesis is used. The goal is to restore shoulder movements biomechanically by using the functioning parts of the deltoid muscle and subscapular muscle. Shoulder joint prosthesis can be used for joint fractures that cannot be repaired or for joints deteriorated through age. If segmental fractures and dislocations with concomitant fractures cannot be treated with plates and screws, it may be necessary to reconstruct the joint by making use of a prosthesis. In such cases, prostheses that ensure the protection of the bone stock are used. Since these fractures usually occur on the osteoporotic ground, a cemented shoulder prosthesis is generally preferred. The primary factors affecting the success in all shoulder prosthesis surgeries are as follows: the height of prosthesis, that the shape of the head should be identical with the removed anatomic head, and, most importantly, successfully attaching the muscles which used to be sticking to the joint head onto the prosthesis. These muscles are stitched, along with the bone sticking parts, around the prosthesis with the help of thick sewing materials. It is important for the shoulder to regain strength in order to be able to raise the arm that these parts, called tubercles, coalesce with the shoulder prosthesis. Thus, you should strictly follow the rehabilitation program and your doctor’s suggestions subsequent to shoulder prosthesis. Different levels of physical therapy are performed for four to six weeks following shoulder prosthesis.